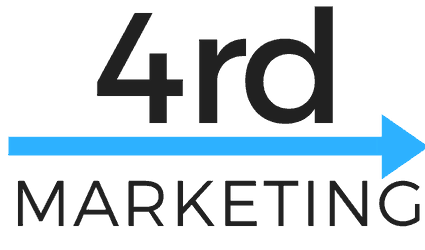 If you’re able to grab hold of what we’re discussing this week you’ll be able to create a lens with which to view every marketing channel through and even potentially change your business. (Note that this is mostly a transcription, pardon and grammatical errors). If you aren’t leading your life you’re following someone else’s. 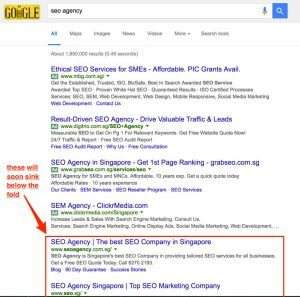 It’s easy to get overwhelmed with the amount of noise that’s in our in our market as in real estate agent you get bombarded with messages about selling on Facebook, pay per click, SEO for Real Estate Agents, and everyone has a coaching program. Gary Keller calls it a Spider-Man which is the idea is that he’s basically there is this person sitting there webs all over the place. Essentially they can’t move because they’re they’ve got their webs in too many different things. This is the mentality we want to defeat. If I’m talking about a future proof marketing strategy it’s going to involve some technology. Like we discussed, the world is cluttered with this stuff and there’s a ton of strategies you could use but let’s cover a few. Google owns the search engine. Although we own the content we don’t own the search engine and so they can change things. If you’ve ever looked recently you’ve probably noticed that the content the things that even if you’re ranked number one you’re probably below the fold. So unless you get that feature snippet then you are not even being seen until someone scrolls down. That’s a big deal. We really can’t rely on Google. What about the second the second leading search engine in the world? Youtube. So if you two were a country it be the largest in the world after China and India and it is just growing. It’s growing exponentially and you’ve heard all this. This is nothing new. This strategy will involve youtube, you’re gonna have to leverage YouTube if we want to get your message out there. 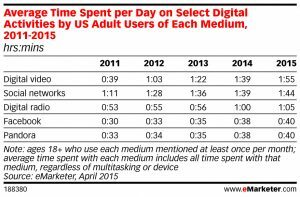 In 2015, the average adult spent over three hours on some sort of social media or digital video that’s three hours a day. You need to be paying attention to these social channels to even be relevant. What is the Future Proof Marketing Strategy For 2018? You’re asking the wrong question. In order to really understand the strategy and make it easier on yourself you really need to understand your big Why? 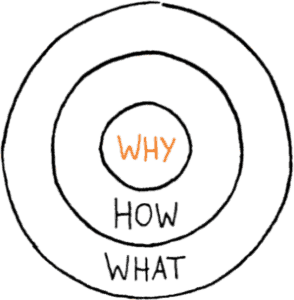 There’s a great book that most of you have hopefully read or heard of called,”Start With Why” (You can get a free pdf of the executive summary below). My example: I sell real estate. Revamped: I help families move forward… during the most stressful activity that they can do. Why not open up your face first Facebook live conversation with why you got into the business that you got into. How about some recent success stories not the humble brag. No one likes that but maybe a challenge that you overcame or why you really enjoyed working with a particular family or customer. Maybe they’re very interesting story. My insurance agent did this recently and I thought it was amazing Devon. He was like talking about this guy who made mush had some sort of mushroom farm where they’re doing research to cure diseases. You could do an analysis on your market like in real estate insurance financial planning in those fields a service industry you can do an update on the market. The other thing is it’s a funny story. Now you’re going to go download the video. So that’s the step two will be down. Step one is to go live. So you it is pretty easy. You can just head on over to your page and then click on more. You can go to videos and then when you go to video you see your video there and just click on that thing and there says download video. In fact that’s exactly what you want to do and be able to download your video. So that’s step two is pretty easy right. So you make a video Facebook Live get that get that huge push and now you’re going to download the video. What do you think my next step is. Post the video. Now if you did it on Facebook you would post it on YouTube and all Linkedin. Pretty simple. Both of those sites have pretty straightforward ways of posting them. If you did a highly personal video would I think that it’s a great idea for you to post it on youtube if you liked it. Yes. Now it’s time to add it to your Web site . So step one is to go live. Step two is it take that video and download it. Step three is to post it and now step four is to add it to your Web site and it’s pretty straightforward there as well. You can take the YouTube embed That’s my preferred method is to take the YouTube embed code and do that all you have to do is click share on your on your Youtube to do that so you don’t have to be highly technical. I wanted to share with you this crazy simple strategy so you could implement it and be consistent. 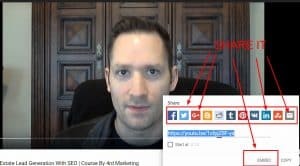 Google wants to promote video. Facebook once promote video. We are in a video sort of content arms war right now and that is why this strategy is going to work. Most business have some sort of customer list or a database. If you don’t you are in trouble at the very least use Outlook or Google contacts as your database so that you at least have some contacts. We all know we’re supposed to be sending messages to our database on a frequent sort of consistent basis right. Youtube even has an email function if you can’t figure it out! How many times you need to do this? I suggest Weekly. If you took holidays you’d come up with about 48 videos next year, that’s only 4 a month. All I’m asking you to do is go live once a week. Take that video post it places to download it. It post the video then you take it you add it to your Web site and then you add it to to an e-mail newsletter and boom you’re able to touch your clients. At least you give me the most you can do. You do 48 times a year every week if you want if you wanted to do monthly and say here’s the recap of all the things I did. You could do that. The idea is is it you need a consistent simple strategy to be able to kill this. Consistency beats creativity when creativity is inconsistent. What does this have to do with Facebook Live? There’s a number called the Dunbar number and it says Dunbar says basically you can only have a relationship for up to 150 people. Chances are real good those 150 people are on facebook with you. Let’s say we took 150 people and you said all I’m going to do is care for these 150 people. So you go on Facebook Live, talk about your Why or something interesting then share it with your “tribe” or membership group. I call this Future Proof because you control your content, you control the context and you’re using your why to attract new members to your Tribe and you’re spending your time and energy on them.